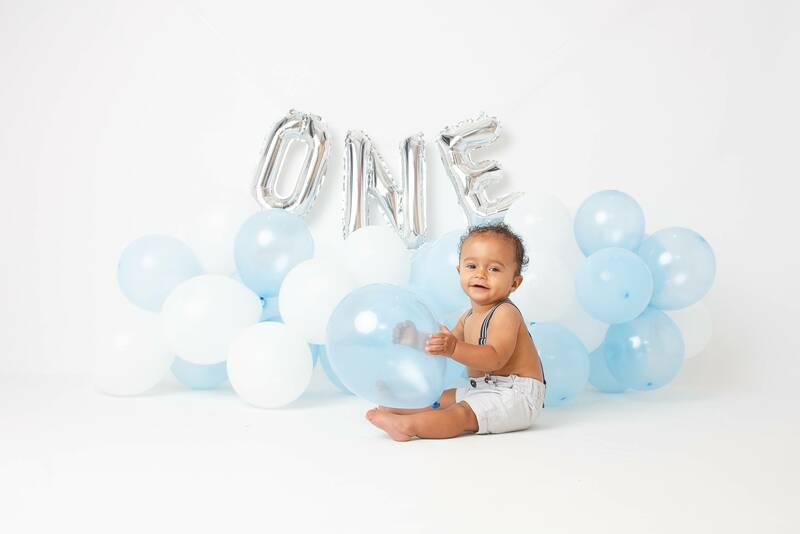 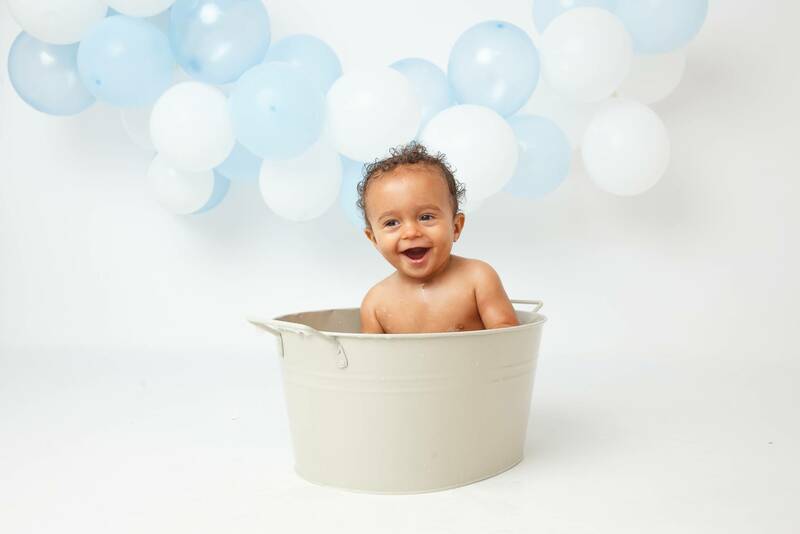 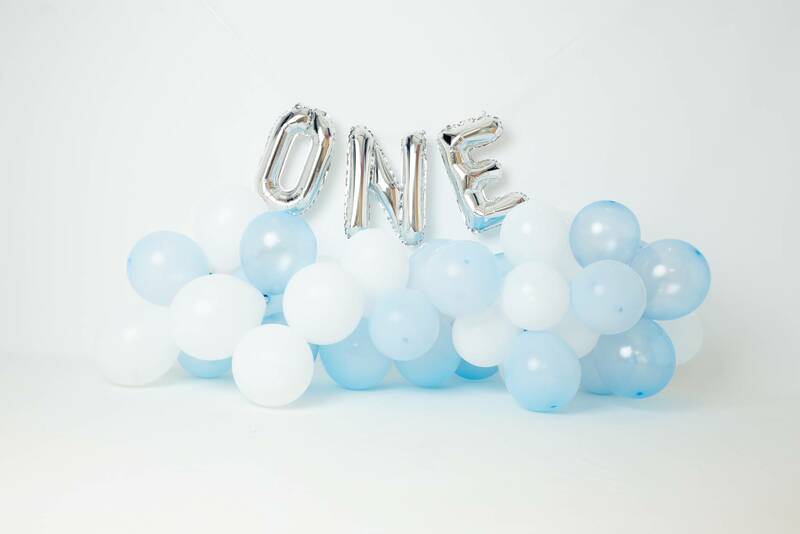 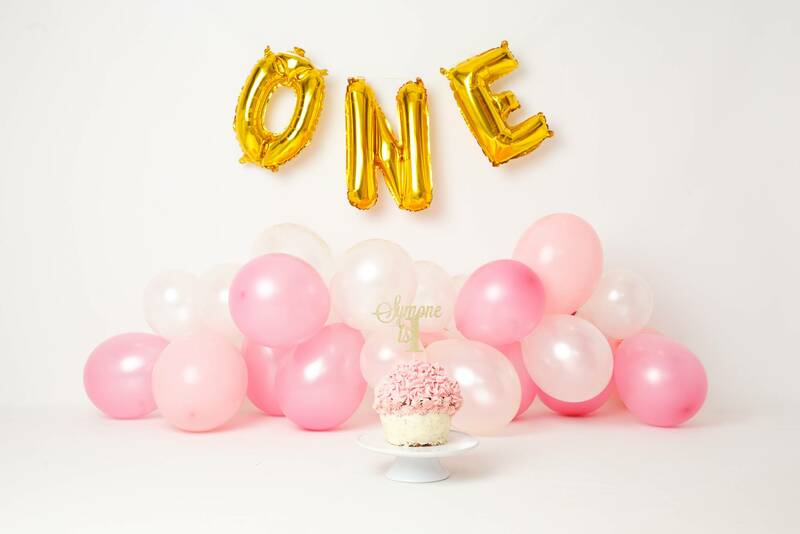 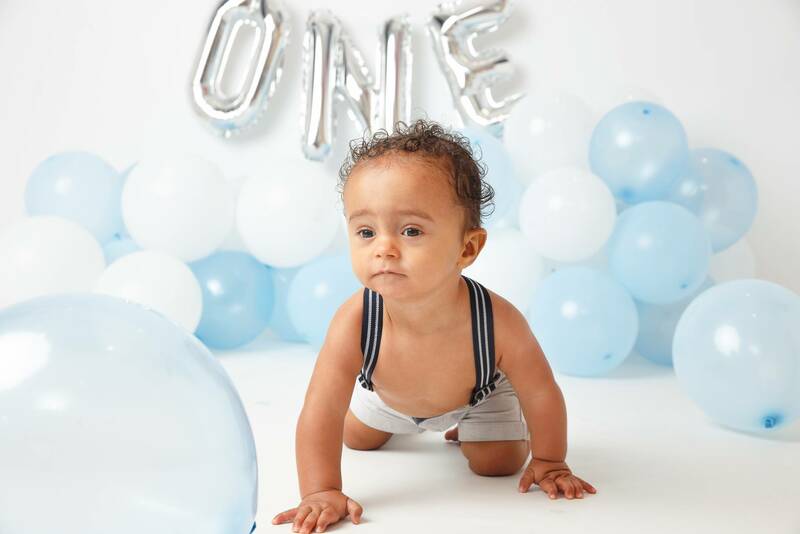 Your newborn is now 1 (2 or 3) and its there first birthday! 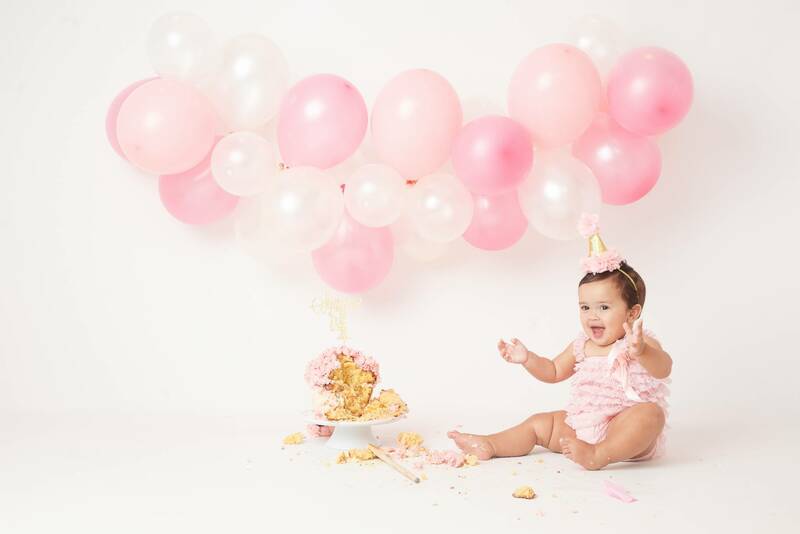 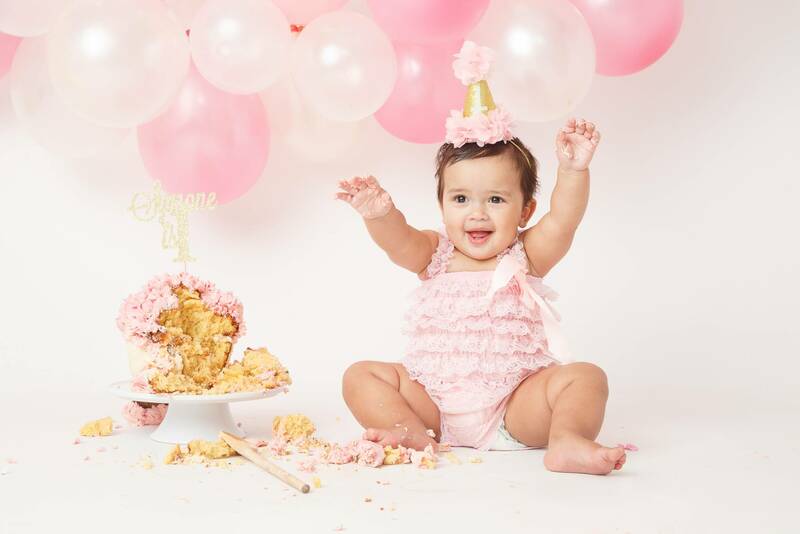 Cake Smash sessions are now the new trend in capturing those special milestones. 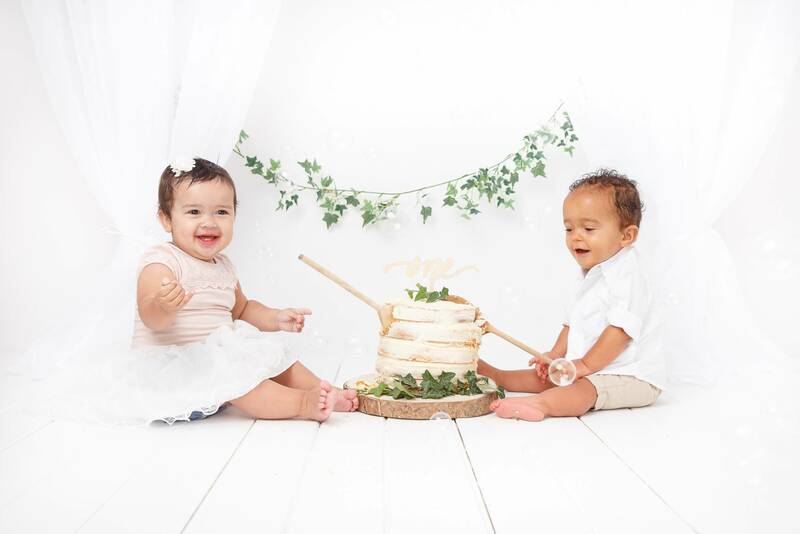 The are so much fun with lots of laughter and giggles and are very messy, not something you really want to create in your own home by choice. 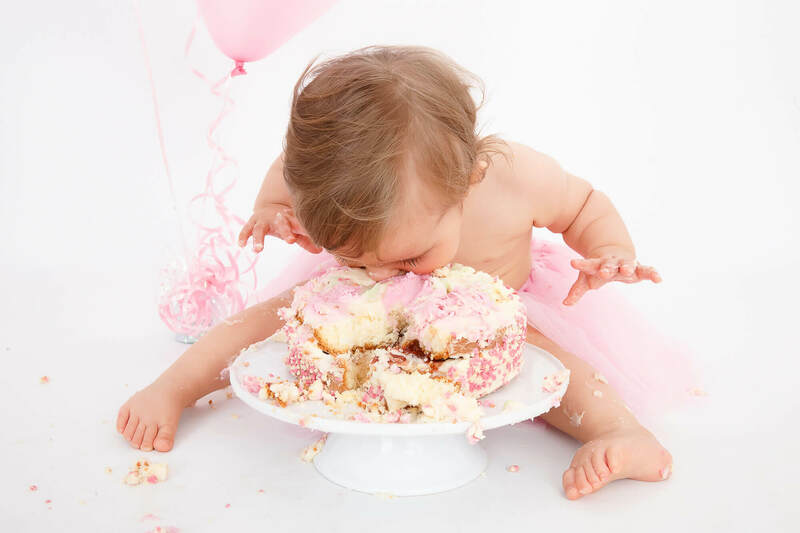 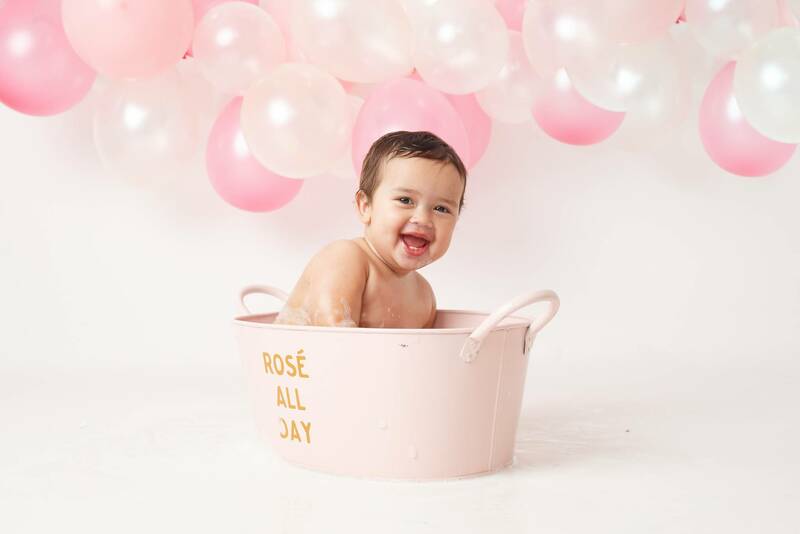 I break down the session into three parts, simple portraits in often their party outfit then we get down to the real messy part with the fun of smashing the birthday cake or any food you wish i.e donuts or cookies, followed by clean up time with a soak in a tub to get rid of all the cake. 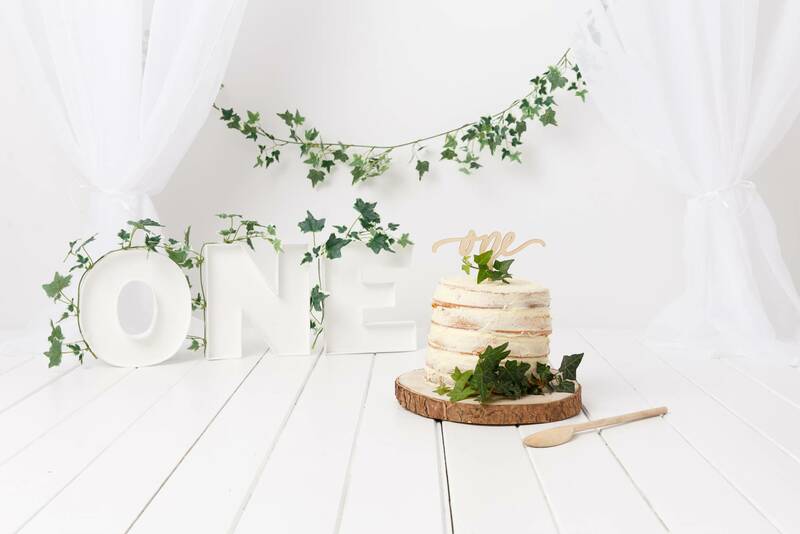 I suggest to book in within 2 weeks notice to allow time to order your cake and prepare your decorations and colour scheme or theme. 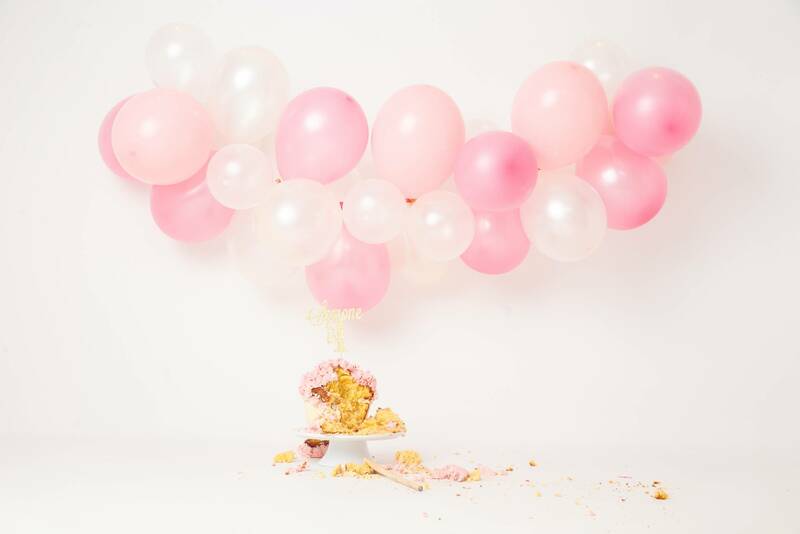 Most props are provided but feel free to bring decorations to add to your session. 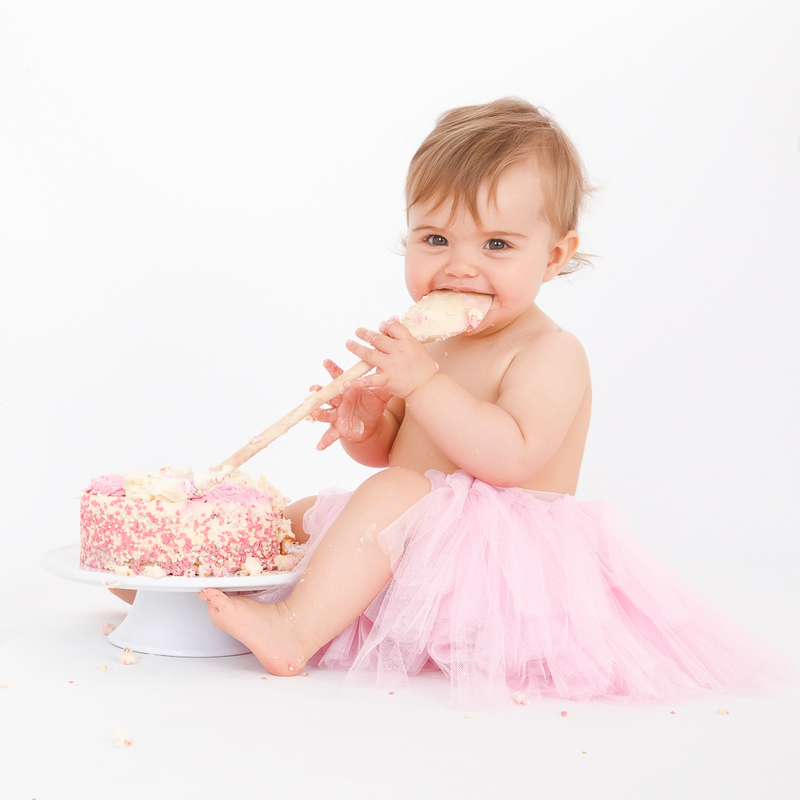 *Cake is provided unless you wish to bring your own personalised and have dietry requirements. 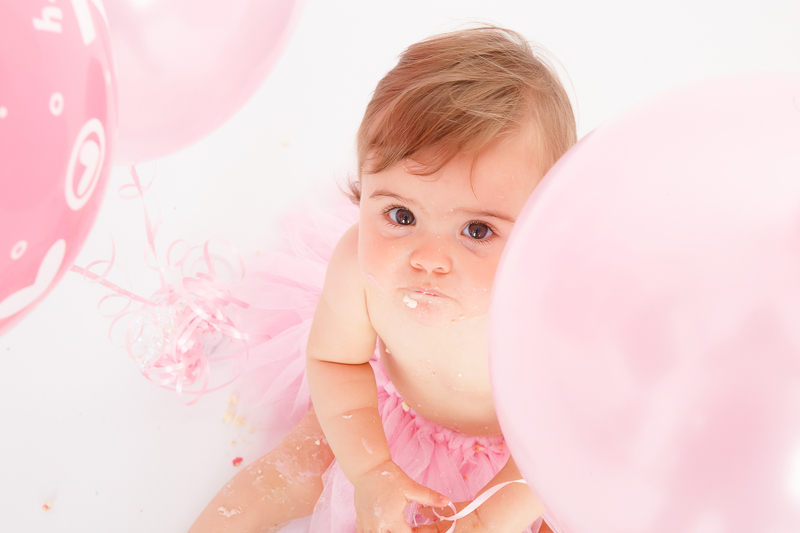 The non refundable session fee of £50 is required upon booking in. 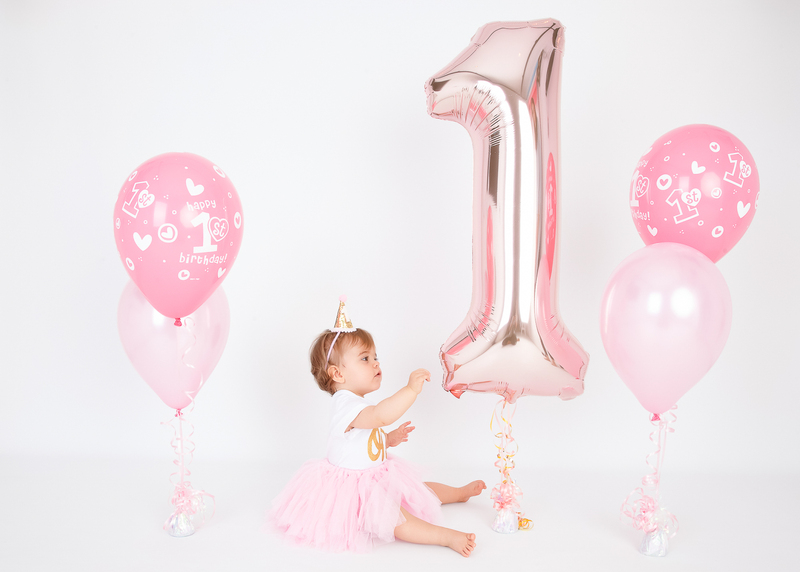 The session fee does not include any images or products, this covers the shoot itself inc all props and the post processing and editing of your images. 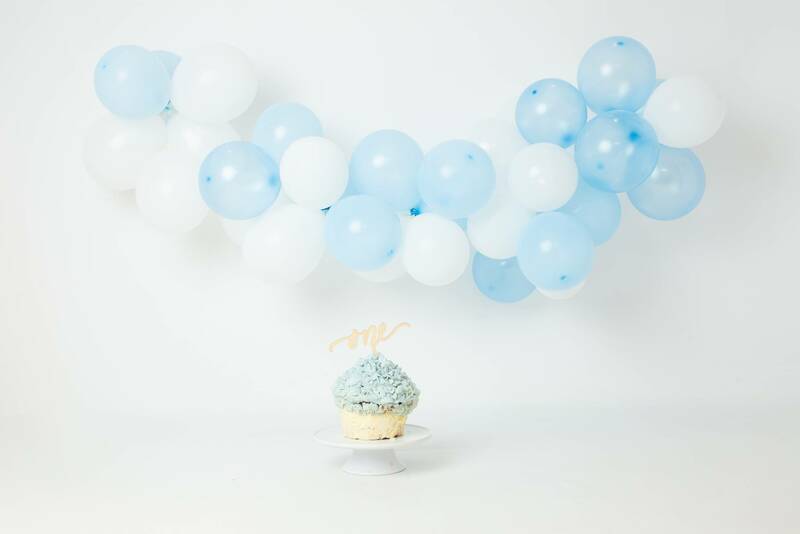 Choose a colour theme to match your cake smash outfit… more colours available on request.